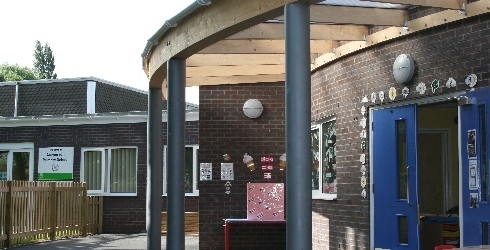 To build a new foundation stage classroom, outdoor play area, a new main entrance, reception and offices whilst the school was fully operational. A skeleton of roman remains approximately 2000 years old was discovered during digging of the foundations. All the team were determined to remove items correctly to minimise delays to the scheme. 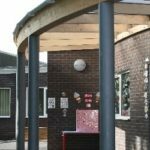 The canopy was an innovative design feature of the project and consisted of a unique curved wood structure supported by steel poles and finished with polycarbonate roof panels. The project materials were changed to achieve the revised budget, without reducing the projects quality. Additional features on the external part of the building were added as the project was in progress. Woodhead’s budget and pre-planning enabled the project to go ahead despite the budget cut.